Bujumbura is situated on Lake Tanganyika in the west of the country and with around 60,000 inhabitants, it is the largest town in Burundi. 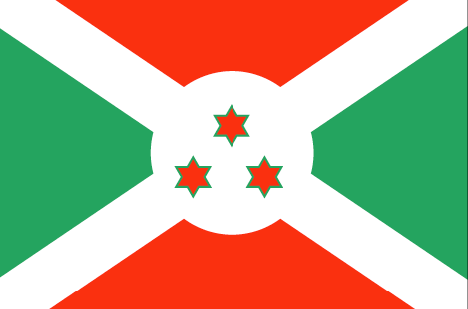 Burundi is a country with a past blighted by ethnic conflicts, which have left their mark and which have led to economic and social circumstances that require prompt, effective and lasting relief efforts. Between 1992 and 2002, poverty dramatically increased in the country. Households are at risk and families suffer from great poverty. The families, most of which have many children, are the first victims of political instability and are not in the position to cope with their children's needs. In most cases they have to look after themselves. SOS Children's Village Bujumbura is located in Nyakabiga, an area of the capital Bujumbura and consists of 13 family houses with a capacity of up to 130 children. It has a village director's house, an administration building and a house for the SOS aunts (SOS Children's Village mothers in training, who actively support the SOS mothers). The SOS Kindergarten, which was built and opened at the same time at the SOS Children's Village, is also available for the children from the neighbouring areas and has a capacity of 150 children. It has seven classrooms, a store and a kitchen, which is used for different activities as well as for preparing meals. Within the SOS Children's Village there are also two schools. The Hermann Gmeiner Primary School opened in 1985 and can take up to 432 children. It consists of 12 classrooms, an administration block and an entrance hall, in which all of the school events are held. The SOS Hermann Gmeiner Secondary School was opened in 1997. It has an intake of 500 children and has seventeen classrooms, an administration block, a computer room, a laboratory for biology, chemistry and physics lessons, a library, a multi-purpose hall (for various school activities), a kitchen, a gymnasium and a hall of residence which can accommodate up to 160 school children. In 1992 an SOS Medical Centre was also opened, with the aim of providing the people with medical care and informing them about local preventative measures. The Centre has five treatment rooms with beds, two check-up rooms, three treatment rooms as well as a reception and administration area. Since it opened, up to 1,400 patients have been seen there every month.